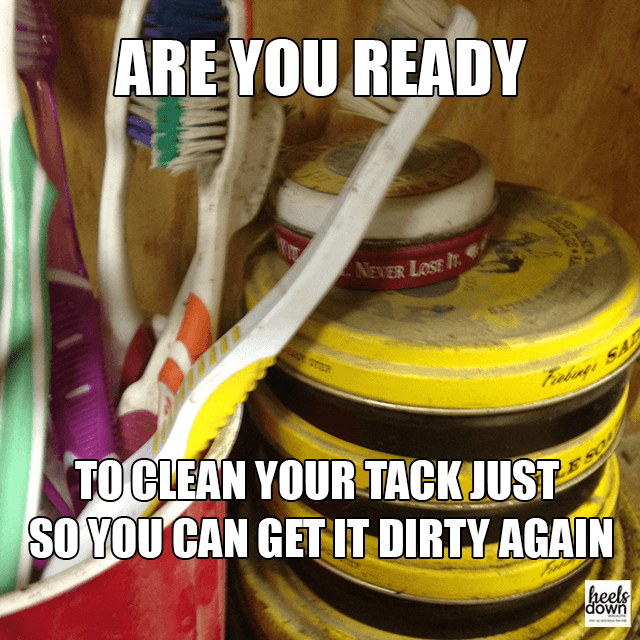 Yeah, yeah, yeah, the Pony Club way is to clean your tack after every ride. But it’s just never going to happen unless you have a quick and easy system to make the habit automatic. Bridles are my personal least favorite item of tack to clean because I am far too lazy to take them apart after every ride and there are so many nooks and crannies for dirt to hide. However I have discovered a few tips and tricks to make the process less painful! Rinse off the bit immediately after riding—that way the gunk will never have a chance to build up. 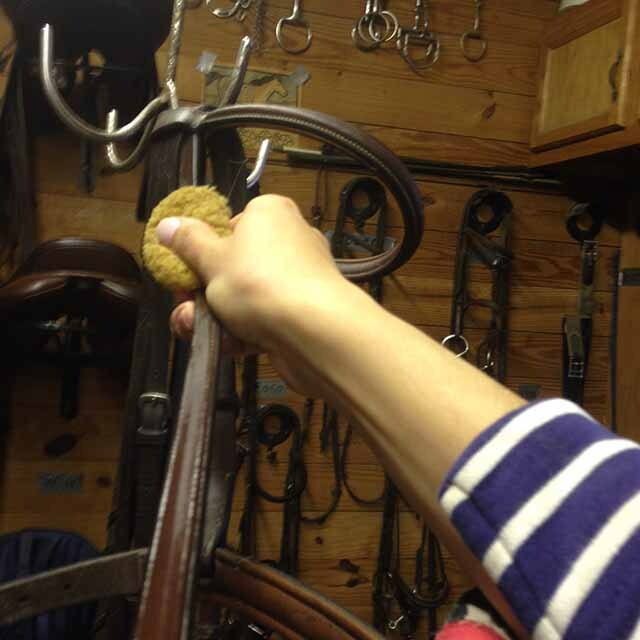 Hang the reins up on a bridle hook, or throw them over your shoulder. 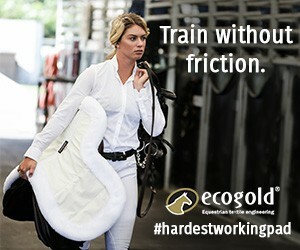 Nothing worse than clean reins getting dirty when they inevitably fall on the ground! 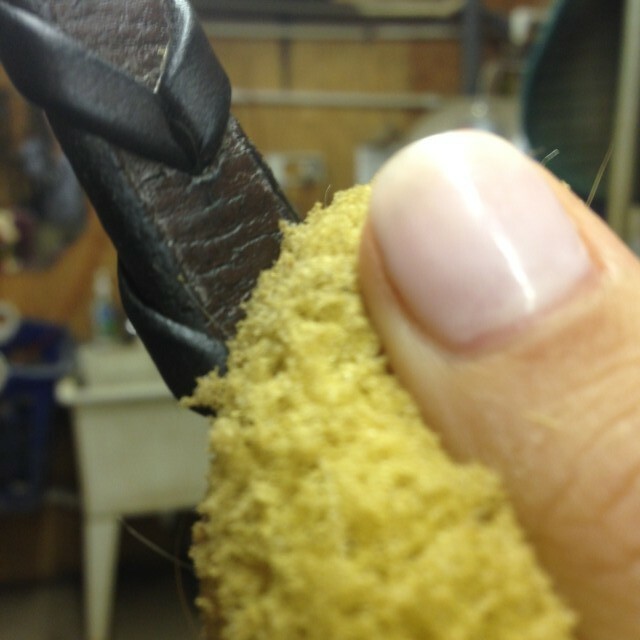 Clean the long leather pieces of the noseband headstall in one smooth movement so it moves the browband. Repeat on the other side. This avoids having to fiddle with the two pieces of leather on the crownpiece too much. 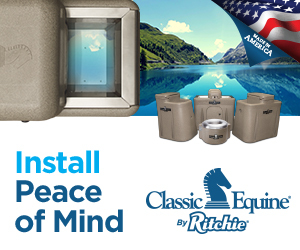 Undo the bit keepers so dirt can’t accumulate there as you clean. 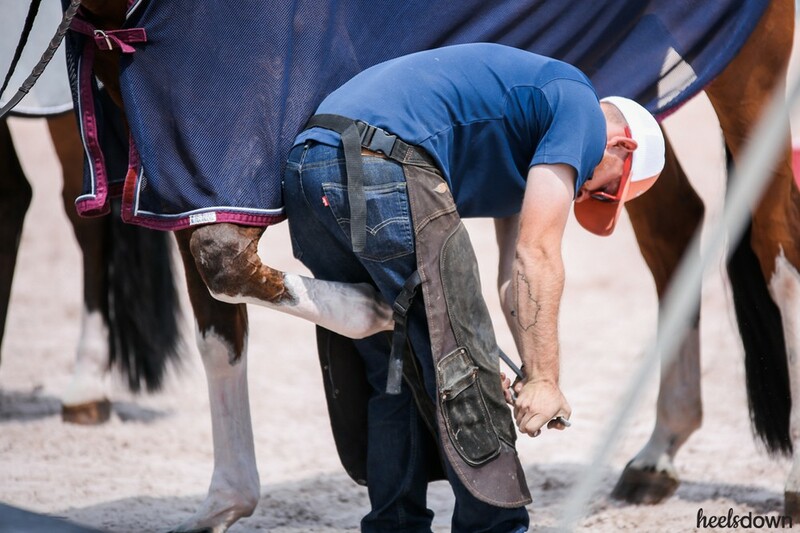 Use a toothbrush and soap to quickly scrub laced reins up and down a few times, then wipe with a rag or sponge, rubbing with your thumb to remove debris. 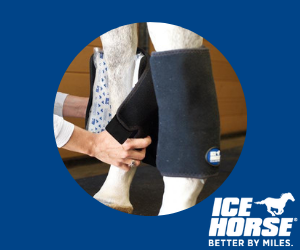 Do you have any special tack tricks or barn hacks? 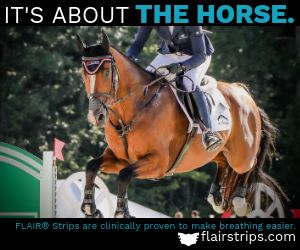 Share them on our Twitter @heelsdownmag!